Simple, affordable workers comp programs with better payment options. Lower rates. $0 down. 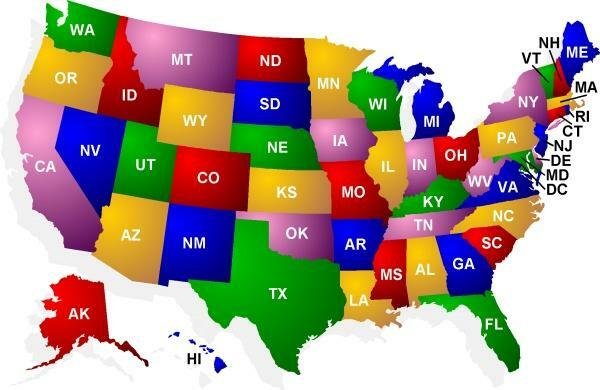 Purchase workers compensation coverage they way your business needs it. We offer low cost programs and flexible payment plans to help employers find affordable workers comp coverage fast and easy. Learn more about our target programs and payment options including pay as you go work comp, direct bill, and monthly reporting. We're confident Our Specialists can help you find better rates and more affordable coverage for your business. Our Direct PayGo program allows employers to access our real time pay as you go comp coverage even if they want to keep payroll in house. Clients send us a work comp report each pay period based on actual payroll per class code. Installment programs are designed to improve cash flow by reducing the down payment to 1/12th of total and extending payment over 12 months. Our Hartford XactPay Pay As You Go program is designed specifically for direct online reporting or QuickBooks users. It can interfaces with QuickBooks payroll software and automatically forwards payroll and premium data to The Hartford. Exact Premium is automatically debited each pay period. Traditional workers comp insurance programs are based on estimated payroll. They typically have larger premium deposits (usually 15%-25%) with monthly billing. The programs work best for smaller employers with consistent payrolls. 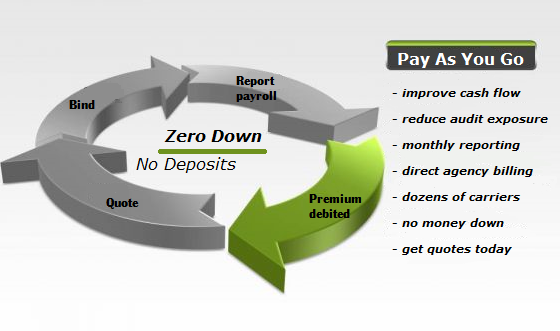 A do-it-yourself reporting program for employers who choose to calculate and remit their own premium each month. The program usually requires security deposit. Designed for companies with premiums in excess of $250,000 that are seeking an incredibly cost-effective opportunity to reap financial reward from good performance. The Program offers flexible risk-financing without complex captive arrangements, and allows customers to craft a solution that satisfies their own appetite for risk. Painting, Carpentry, Masonry, Excavation, Sand & Gravel, Furniture Moving/Storage, Drywall Construction, Plumbing, Landscaping, Tree Pruning, Crane Operations, Trucking, Trash Hauling, Logging, Saw Mills, Manufacturing, Property Management Companies. A program for higher premiums greater than 500k. Allows client customer to share in the risk and reward of premium to loss ratio with the fronting carrier. 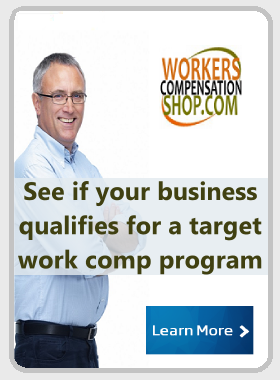 At Workers Compensation Shop.com, we're always working with our insurance partners to develop target programs so business owners get faster quotes, lower insurance rates, and the perfect workers comp coverage for their industry. Our target workers' compensation programs enable us to choose the right insurance companies who offer lower rates for the classification codes associated with your business. 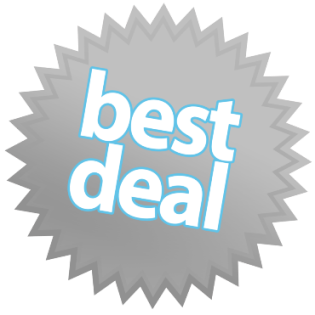 Don't worry if you can't find a target program for your industry, we can still help you find the very best deal on your next policy. Did you know that the cost of a workers compensation insurance policy can vary significantly between insurance company, underwriter, and insurance agency? Get the facts. 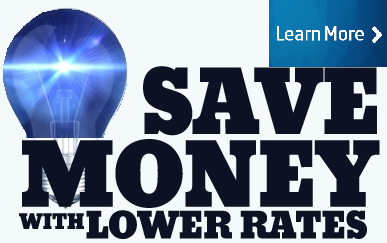 Better programs equals lower rates. We offer access to the easiest and most affordable commercial insurance programs online. As your dedicated Work Comp Specialists, let us help you find the very best rates on coverage on workers compensation and your other business insurance needs. Call us today at 888-611-7467 to get more information about our target comp programs or to see if we can help you save more money on your commercial insurance program.